Last weekend, we headed to Hoboken, NJ to visit our friend, Lindsey, who moved there at the beginning of the year. Unlike the last time we visited her in January, when the bitter temps made it difficult to enjoy the charm the city has to offer, this time the weather was beautiful and we had a great time strolling up and down Washington Street. 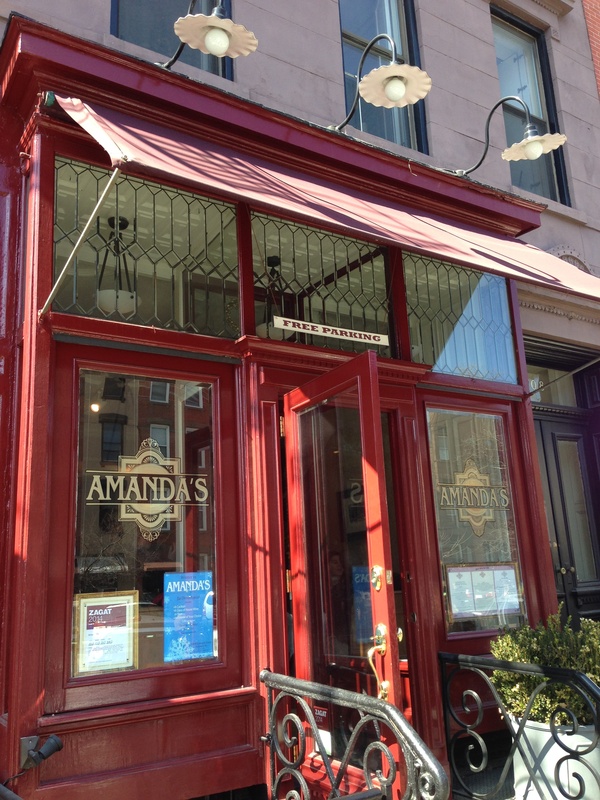 Our first stop was Amanda’s, a restaurant we’d heard great things about and tried to stop by once before. 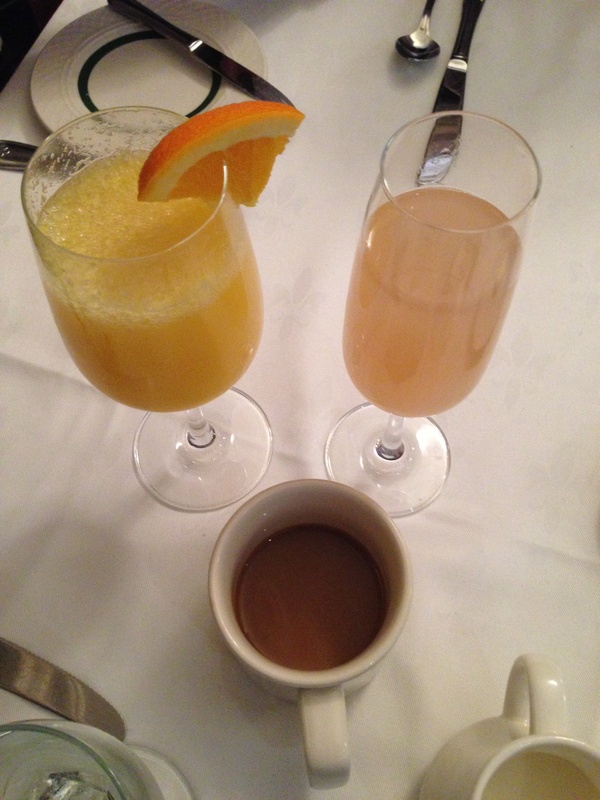 This time, reservation in hand, we got a table for 3 right away and had a lovely casual brunch. We started the meal with a few breakfast cocktails and we all enjoyed the rolls that the server brought around. 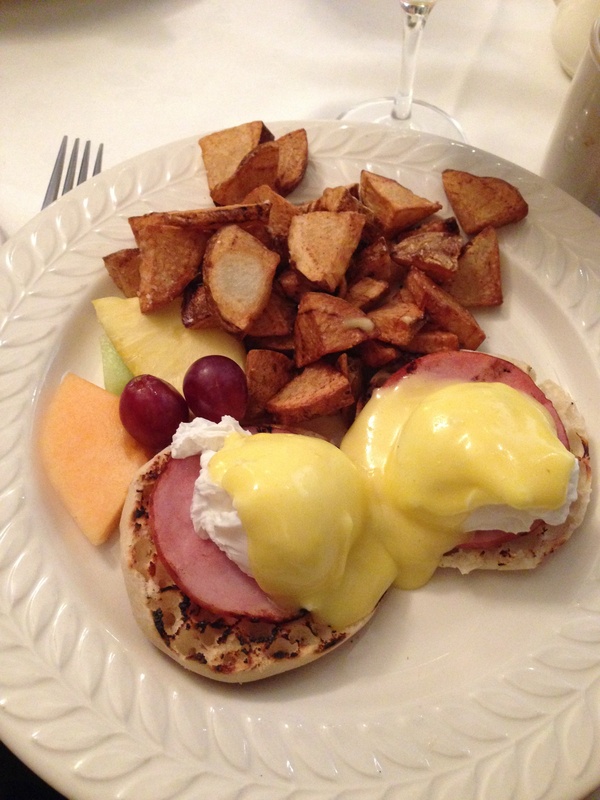 When it came to making our selections, we ordered Classic Eggs Benedict (Kristina’s choice, no surprises there!) 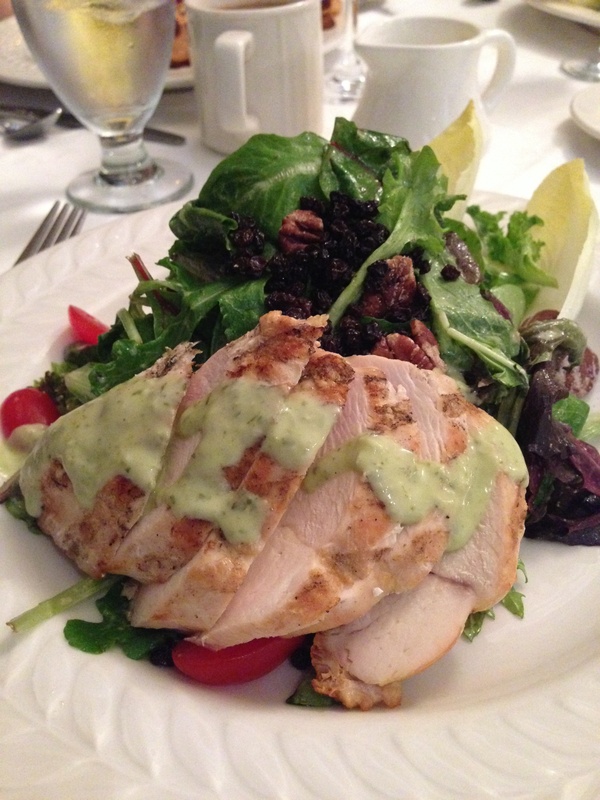 and Grilled Chicken Breast on Mixed Greens with Currants & Pecans (Allen’s pick). Our meals were tasty and the atmosphere at Amanda’s was festive, with a number of private parties happening nearby. One helpful thing to note about Amanda’s- they will validate parking (for up to 3 hours) at the nearby Little Man Parking Deck. We took advantage of this perk and encourage you to do so, too! After our meal, we wandered up Washington Street, visiting a variety of shops along the way. 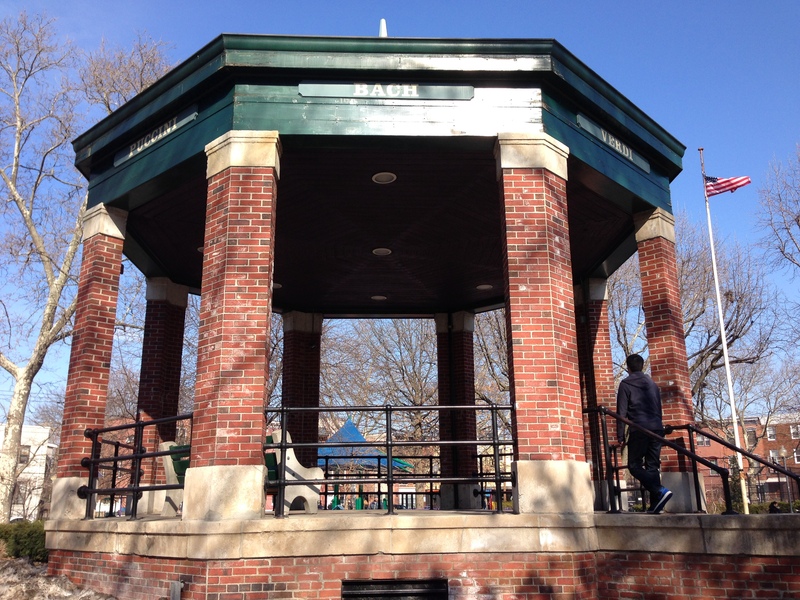 We also stopped at Church Square Park, which has a great playground, dog run and gazebo. It finally felt like spring and you could tell by the number of people in the park! After relaxing in the park, we headed back to Washington Street for more adventures. 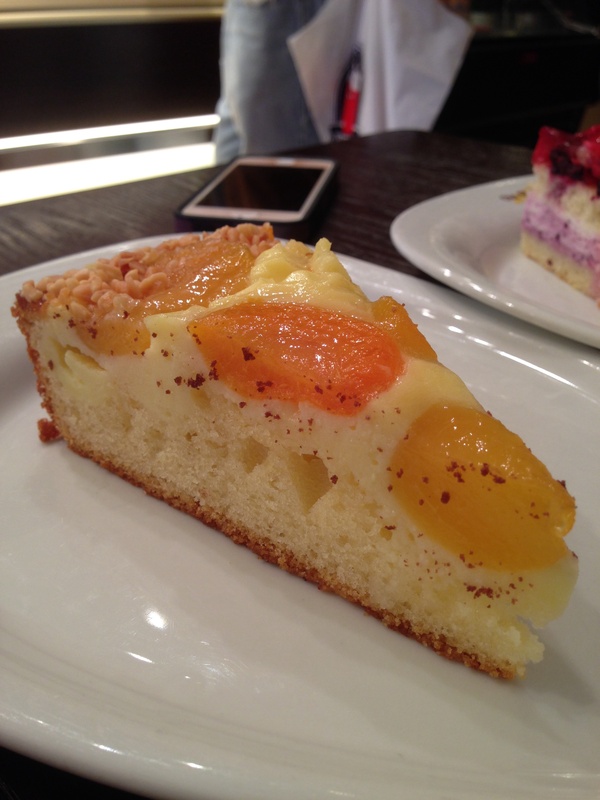 By then, we’d walked off our brunch and were ready for something sweet. 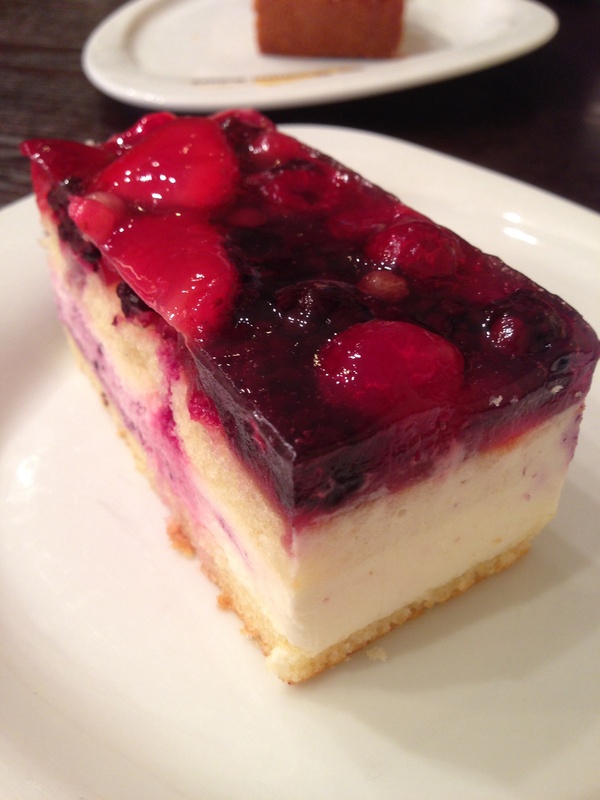 We stopped by the Old German Bakery for an Apricot Yougurt Cake (Kristina’s selection) and a Berry Mixed Square (Allen’s choice). The treats definitely satisfied our taste buds! 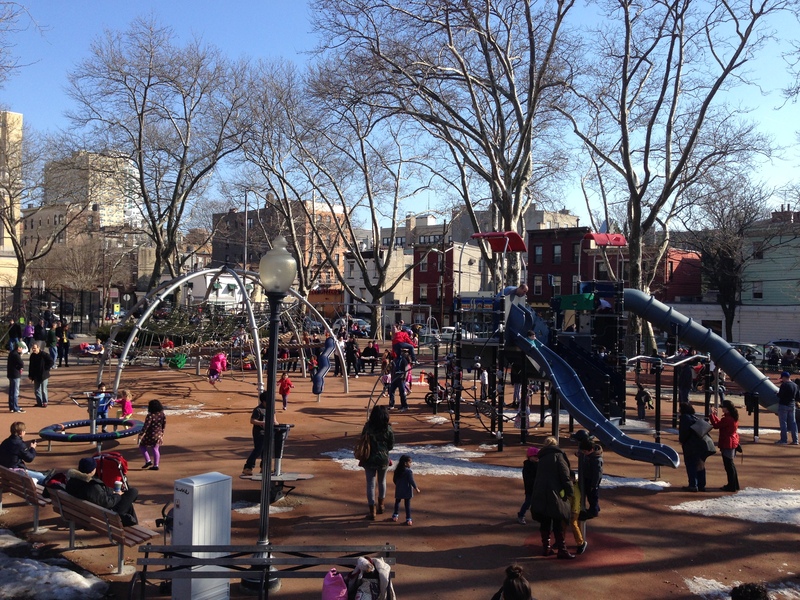 We’re big fans of Hoboken and look forward to visiting more as the weather improves. Any other places we should be sure to check out? Hi there! I’m reaching out on behalf of OpenTable – I really enjoy your blog and wanted to talk to you about possibly collaborating? Please let me know where to reach you or please shoot me an email! Thanks for your note! We just sent you an email and look forward to being in touch!